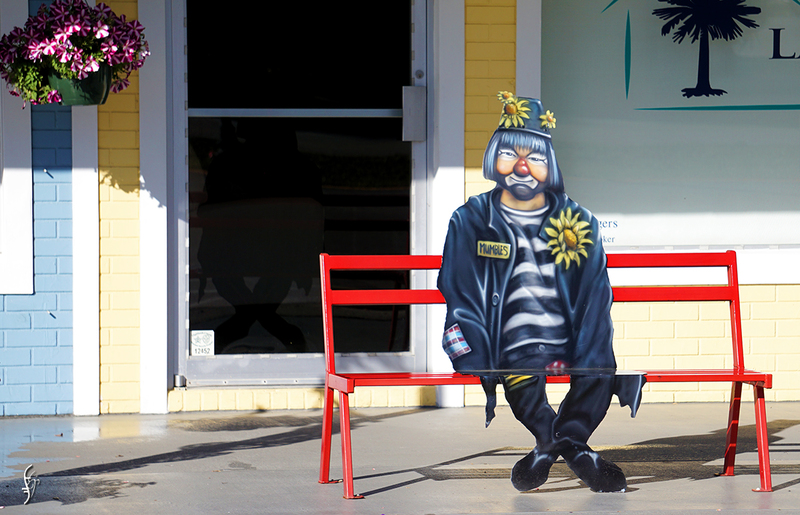 Lake Placid bills itself as the town of murals. They ain’t lying. I’ve mentioned I live in a rural area near a lake? But the main drag is literally only minutes away. I visited yesterday, tried a local cafe, and walked around a bit. Unfortunately, my back has not yet recovered from the stress of moving, so I wasn’t able to stay as long as I liked. But I will go back; the place is fascinating and beautiful. I stopped first at Journal Plaza Square. I screwed up taking pics of the giant mural on the wall that borders a large green space, beside which is a line of businesses, but I’ll go back and get it soon. The really cool thing about it? They run free movies every week. Bring a chair, a blanket, and enjoy. 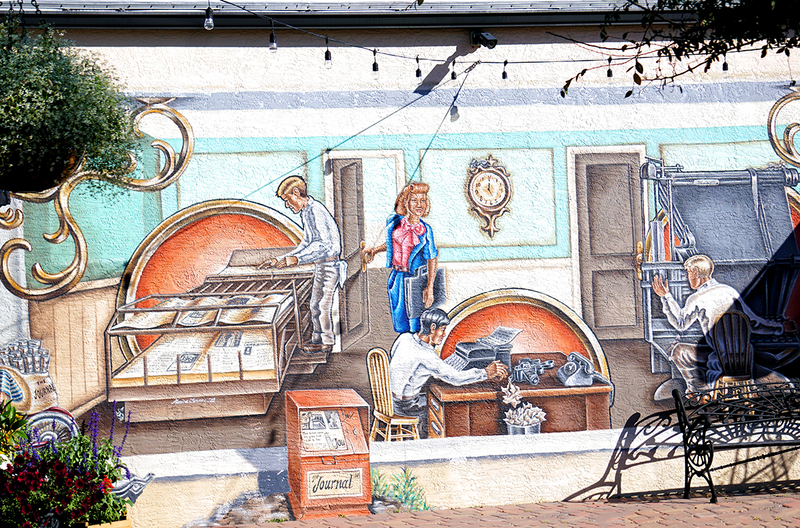 They run it on a large white square in the center of the wall, on either side of which is a gorgeous mural. The cafe stays open, so you can buy food and drink if you didn’t bring your own. 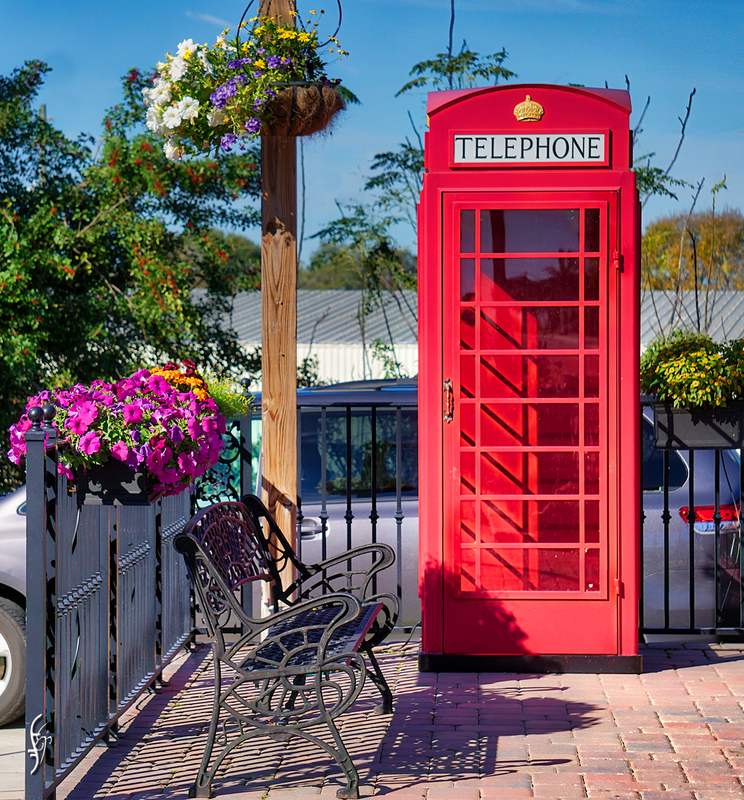 The red telephone box is placed against the back wall of the cobblestoned area in front of the businesses (artist paint shop, cafe, antique store). Please click on individual photos for detail. It’s worth it. The Journal was apparently an early newspaper in town. Now it’s called the Lake Placid News. 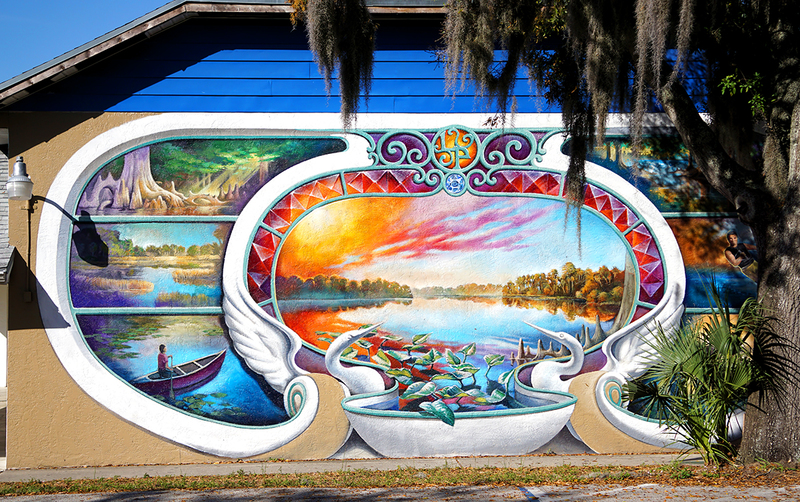 This mural faces the street, again depicting scenes of Florida. 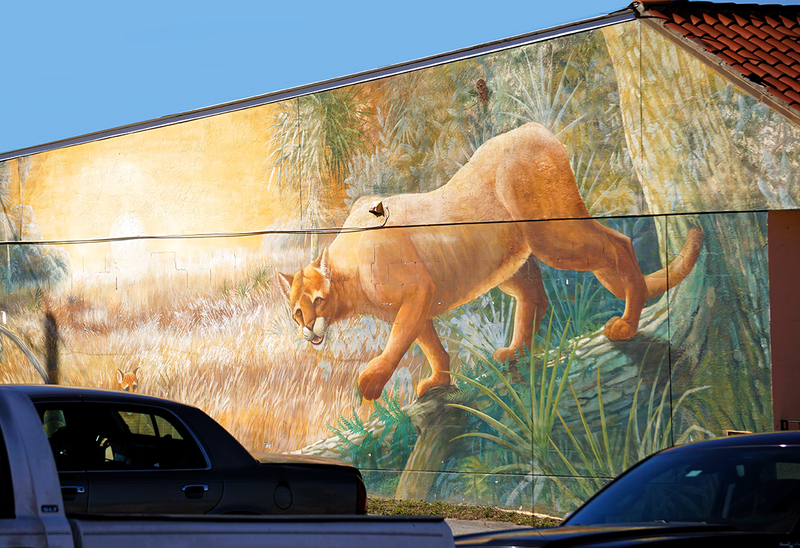 The endangered Florida panther one block off the main street. I know some of you hate clowns, but these were so well done, I had to include them. That’s what I picked up in less than an hour. Can’t wait to return and discover more! 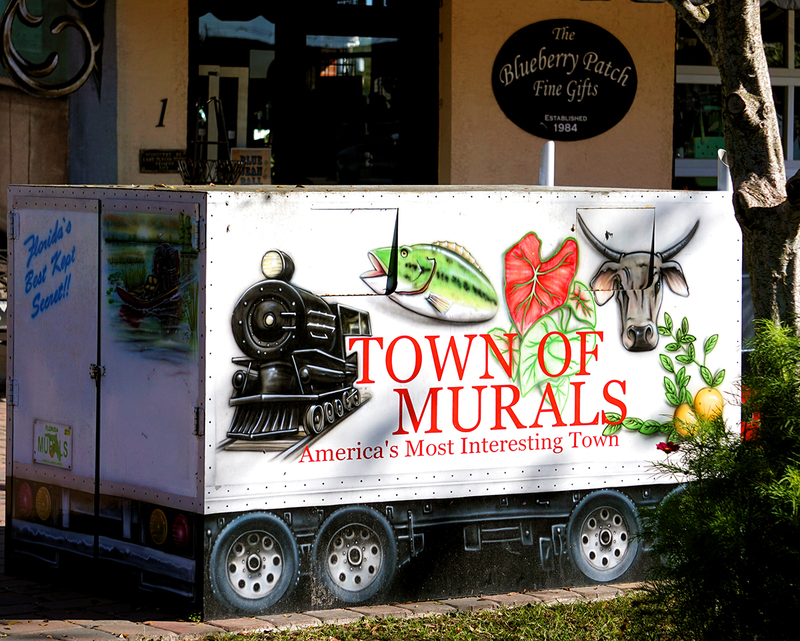 This entry was posted in photography, RL and tagged murals, photography. Bookmark the permalink. 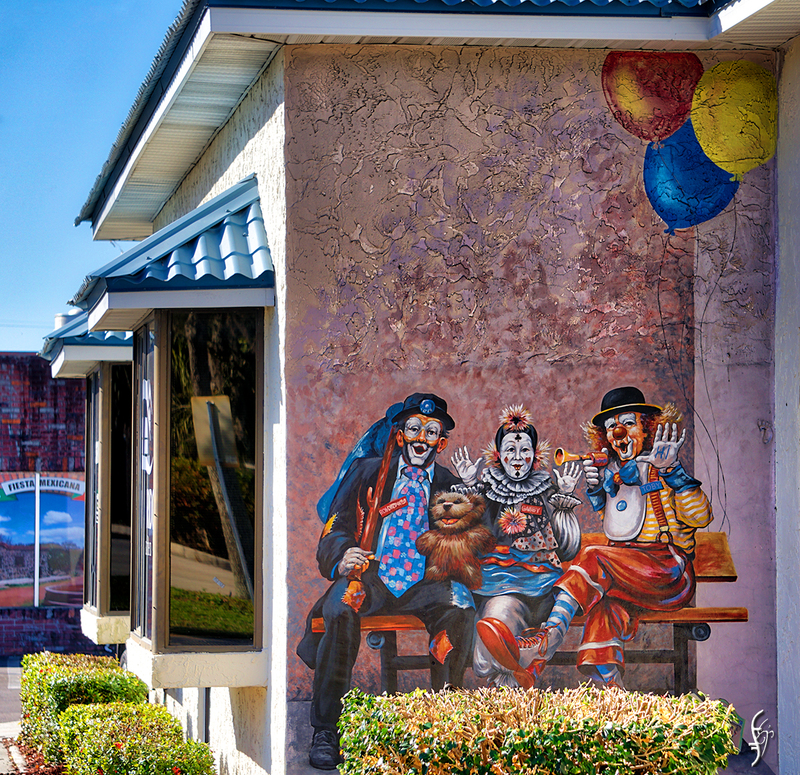 Looks a great place to visit even if there are clowns! They’re only painted clowns. Heh. Can’t harm anyone. Wonderful! Thank you for sharing these!